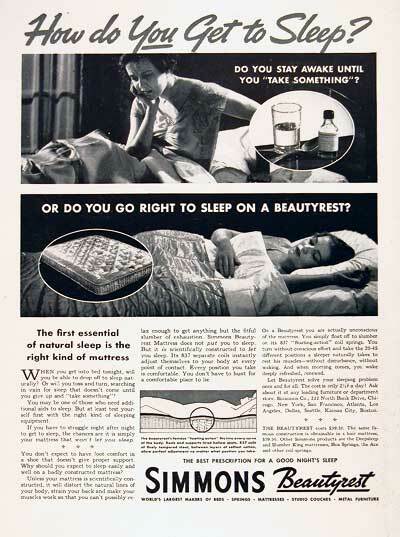 1937 Simmons Beautyrest Mattress original vintage advertisement. Scientifically designed with 837 separate coils to instantly adjust to your body at every point of contact. The Beautyrest Mattress costs $39.50.